Remember when Amazon went public? If you were still a child in 1997, you probably don't, but just know that it was a big, for some people highly profitable deal. Now imagine if the Amazon of China IPOed on the New York Stock Exchange. Have that scenario in your brain? Excellent, because it's reportedly about to happen. China-based E-Commerce mega brand Alibaba has confirmed plans for an IPO on the NYSE, reports WWD. Now you may ask, “Doesn't China have its own stock exchange?” Yes, yes they do. But, Alibaba has expressed dissatisfaction with the Hong Kong Stock Exchange's ownership structure requirements and decided to sell shares on the New York Stock Exchange instead. “This will make us a more global company and enhance the company’s transparency, as well as allow the company to continue to pursue our long-term vision and ideals. Should circumstances permit in the future, we will be constructive toward extending our public status in the China capital market in order to share our growth with the people of China,” the company told WWD, commenting on the surprising decision. Translation: If they change their tune, we will change ours. In the meantime We <3 NY! 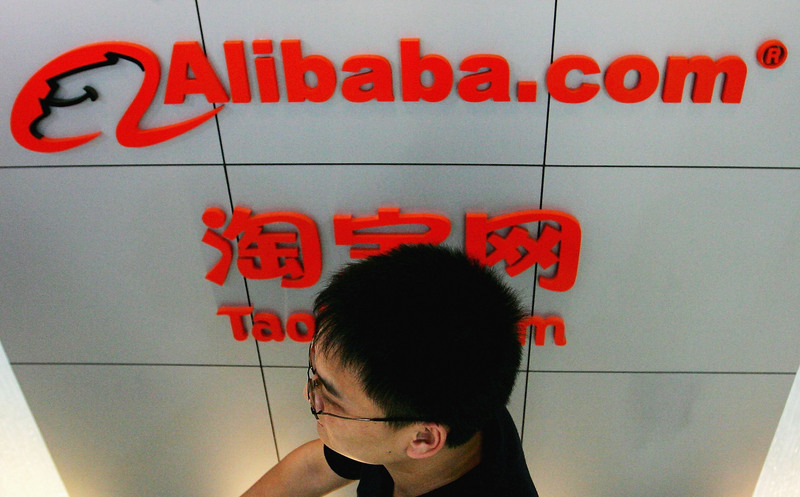 Though Alibaba is a giant in China, it is a veritable unknown abroad, especially in the U.S. Still, the company’s $140 billion valuation sets it up to meet, if not exceed, Facebook’s record breaking IPO two years ago. Imagine combining Amazon, Ebay, and Paypal under one roof. Alibaba is that roof in China. By operating Taobao.com, China’s largest consumer-to-consumer e-commerce site, Tmall.com, a business-to-consumer site, and Alipay, a third-party online payment platform, Alibaba has its hands in over 80 percent of online retail transactions in China. Like many success stories, Alibaba’s begins in its founder’s apartment. Jack Ma and 17 fellow founders launched the online marketplace in 1998 from Ma’s living room. By 2000, Alibaba had raised $25 million in investor funding. Once considered a top dealer in counterfeit goods, Alibaba's property Taoboa was listed on the American government’s list of “notorious markets.” Through diligent policing, partnerships with organizations like the Motion Picture Association of America, and the removal of illegal products from the site, Taoboa managed to get itself removed from the watch list. Alibaba doesn’t just serve as a marketplace for consumers and businesses, it also serves as a financial resource through small dollar loans to merchants in China and abroad. Future plans are in the works to expand these programs to under-banked emerging economies all over the world. Alibaba is not the only Chinese company making their way to the NYSE. China’s Twitter, Weibo, has also announced plans for an IPO in the US. Its offering isn't expected to raise anywhere near as much as Twitter’s did, but Weibo's success, combined with the probable success of Alibaba, could set a trend of Chinese companies trading on U.S. soil for years to come.